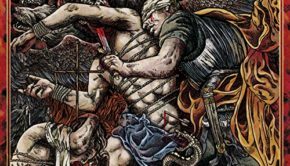 Swedish melodic death metal stalwarts Dark Tranquillity are back with a new album, their eleventh studio release, titled Atoma. 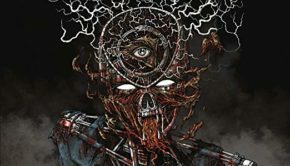 It’s their first album with Anders Iwers (Tiamat, Ceremonial Oath) on bass, and it comes after a pair of albums (2010’s We Are the Void and 2013’s Construct) that, if I’m completely honest, weren’t all that memorable. If it were any other band *coughChildrenofBodomcough* I might have skipped this album altogether, but this is Dark Tranquillity we’re talking about, one of the only bands from the original Gothenburg melodic death metal scene that never really walked away from that kind of music once they hit big. Plus the advance video for “The Pitiless” was flat-out killer. 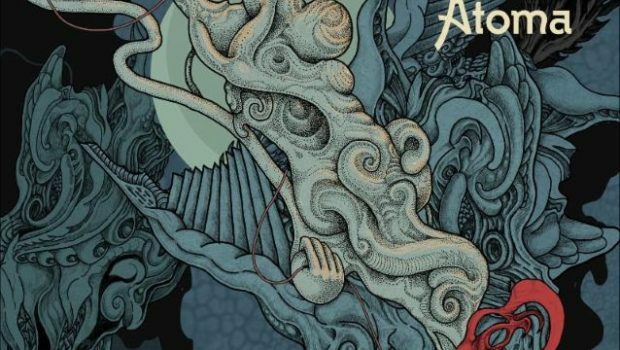 So I grabbed a copy of Atoma (on my way to see Dark Tranquillity live, oddly enough). It turns out “The Pitiless” wasn’t an exception. Atoma really is that good. This sounds like a completely energized Dark Tranquillity. Maybe playing all those classic Projector/Haven/Damage Done tracks on tour got them in that frame of mind, because that’s exactly what Atoma reminds me of: classic Dark Tranquillity. Headbanging heaviness plus catchy (not “simple catchy” but “drives these songs directly into your head catchy”) melodies are paired with some really well-placed keyboards and other electronic atmospheric touches, and Michael Stanne sounds amazing on vocals as usual. He even breaks into the occasional clean vocal part here and there, which is really good to hear. It was just enough to give Atoma an extra bit of that Projector vibe. I’ve already mentioned “The Pitiless” as a standout track, but it’s far from the only highlight on Atoma. The title track is a monster, and “Neutrality” and “Merciless Fate” are also killer. Really, there isn’t a dull moment on the whole disc. 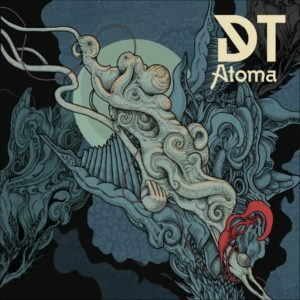 Atoma is an almost-perfect example of everything that Dark Tranquillity does so well, and is the best album they’ve released since Fiction, if not Character. If you haven’t paid much attention to the band lately, this is the album to make you a fan all over again. And as good as bands like Insomnium, Onmium Gatherum, Words of Farewell and Mors Principium Est are (and they’re all really freaking good), you listen to an album like Atoma and know exactly why those bands draw so much inspiration from Dark Tranquillity. 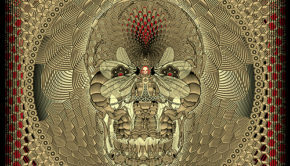 Format Notes: There is a deluxe edition CD version of Atoma that comes in a digipack (boo!) and includes a second disc with two bonus tracks (yay!). The new songs – “The Absolute” and “Time Out of Place” – are both slower, more atmospheric songs that don’t quite fit the regular album but are still well worth the extra bucks for the 2-disc version. The LP version comes with the album on CD, but not the bonus tracks. 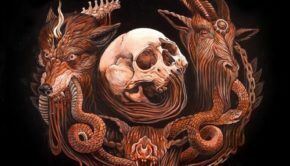 Dark Tranquillity: Atoma Justin G.
Summary: Back to classic DT form!